Here’s Jennifer Sokolowsky of the Seattle Times on how social media is shaping art; SAM curator Catharina Manchanda speaks about the Yayoi Kusama: Infinity Mirrors experience. For art institutions evolving with technology and visitors’ tastes, it’s a delicate balance. “In the end, it’s, ‘How do you have a meaningful experience of art?’ and the answers will depend. From a curatorial perspective, I just want to make sure that the traditional and core mission of the museum lives on,” Manchanda said. The Stranger’s Slog revived their Short Film Fridays feature to share the winning short films from the Wyeth Film Sprint; the results are appropriately strange and sad and surreal. Seattle Magazine recognizes the “Most Influential Seattleites of 2017,” including SAM friends such as C. Davida Ingram, Inye Wokoma, and the KEXP Gathering Space. Antwaun Sargent for Artsy on the recent unveiling at Princeton of a public sculpture by Titus Kaphar, which was commissioned as part of the university’s reckoning with its history of slavery. Kaphar was the inaugural recipient of SAM’s Gwendolyn Knight | Jacob Lawrence Prize in 2009. Madrid’s Reina Sophia unveils “Rethinking Guernica,” a free website—available in Spanish and English—that offers a visual timeline of Picasso’s most famous painting. 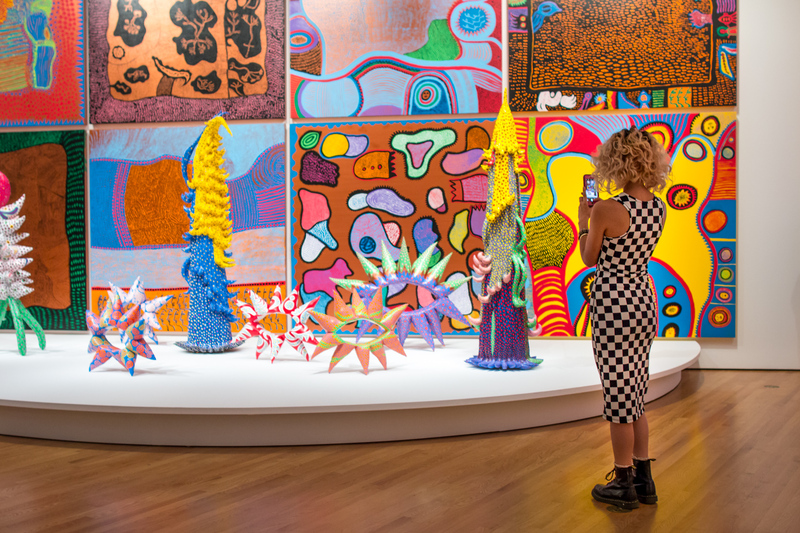 Photo: Installation view of Yayoi Kusama: Infinity Mirrors at Seattle Art Museum, 2017, photo: Natali Wiseman.